The following table provides the Important dates and schedule for the NIFT 2019. When will NIFT 2018 Counselling start? When will NIFT 2018 Counselling start? Please provide details of counselling. NIFT 2018 Counselling will start from 4th June 2018. To know about counselling process and Seats offered, click here. What is the result announcement date for NIFT 2018? NIFT 2018 result is already out. When will the situation test be conducted? The situation test will be conducted in April-May 2017. When will the NIFT result come out? The NIFT results will be announced in the month of May or June 2017. When will the NIFT admit card be available? The NIFT admit card will be available from January 21st, 2017. In case I have missed the Application dates, do I still have a way to apply? The last date to submit your applications for NIFT 2017 is Third Week of January 2017 and no further. Missed application date , can i still apply? I have missed the application date for NIFT 2017 , can I still be able to apply ? Do not worry as you can still apply on the NIFT 2017 examination site, however, please do note that you will be charged a late fee. You can submit your NIFT 2017 applications until the third week of January 2017. When will the counseling be held ? I wanted to know when the counseling would take place after the examinations were done? The counseling session is likely to commence in June 2017. When is the date for the NIFT exam? The NIFT exam is expected to happen by the second week of February. When is the commencement of the NIFT application form? 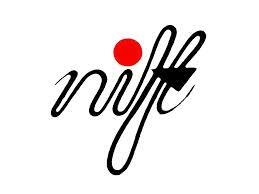 The application form for NIFT will be available from the month of October. For regular updates, the candidate has to visit the website regularly.